On 28 June 1951, the then Maharajah of Mysuru inaugurated the International Sanskrit Research Centre in Mysuru. Chief Minister of Mysuru State Sri C K Reddy was in attendance. G R Josyer was the Director of that Research Centre. The guests were shown all the rare collections of Sanskrit scriptures and literature, painstakingly gathered from various sources. It was indeed an impressive collection. But there was one small handwritten note book which surprised them the most. What were the contents of that book? The title of the book was Vaimanika Shastra of Maharishi Bharadhwaj. For the guests or to the audience this was a strange title and they had never heard about it before. What further surprised them was, the person who brought this book from Bangalore, informed them that this is the first of the collection of 22 such note books all handwritten by one Venkatachala Shastri as dictated by Anekal Subbaraya Shastri. The book contained 6000 lines in Sanskrit with thousands of Shlokas in Sanskrit. What was the reference scripture for such a mammoth literary work? There was none. This knowledge was verbatim transferred by Maharshi Bharadhwaj to Subbaraya Shastri through ‘psychic channeling’, that was what was told to the amused audience. 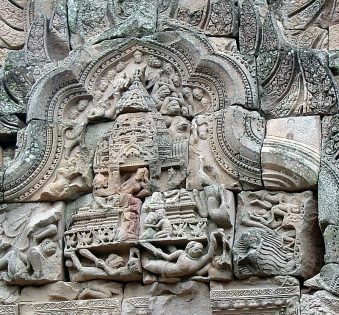 Sculpture of Ravana’s Pushpak Vimana over the battlefield on a lintel at Phanom Rung Hindu Khmer temple in Thailand; Image source: Wikipedia via Michael Gunther. G R Josyer subsequently translated this book in Sanskrit to English. The date mentioned in the first note book 1/8/1918 and the last book has the date of 23/8/1923. So let’s first learn the background of this author, Sri Subbaraya Shastri. Subbaraya hailed from Togare Agrahara in Hosuru near Bengaluru. As if the poverty wasn’t enough, almost entire family suffered from leprosy. Many in the family succumbed to the disease. Subbaraya left home and moved into the forest in the Avani region near Kolar. There he met a sage through whom he learnt basics of Sanskrit. There were no books or scriptures for reference; all the learning was verbal and one on one, followed by hours of meditation. As the practice of meditation got intensified mind channeling was practised. Subbaraya became a bridge between many Maharishis through psychic channeling. Maharshi Bharadwaja and Gautama became the main source of knowledge in subsequently developing some hitherto unknown knowledge about “Jala Tantra“, “Bhoutika Kala nidhi” and “Yantra Sarvasva“. 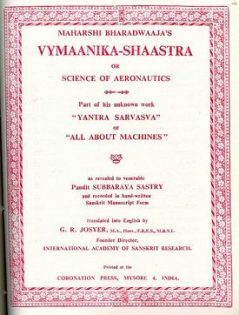 Vaimanika Shastra was part of Yantra Sarvasva. All these works were verbatim recited and dictated by Subbaraya Shastri after he came out of the forest and started living in Anekal near Bengaluru. When his book Vaimanika Shastra was raising many eyebrows, Britishers jailed him under the pretext of him being a freedom fighter. Within few months of imprisonment Shastri died due to prolonged illness. He passed away in utter penury. Thus ended the life of a great scholar and researcher. What happened to all his works then? Fortunately some well-wishers saved all his works safely. When G.R Josyer got to know about his works and sought permission to translate some of them to English, Vimana Shastra was one of them. The book was priced at 160 dollars in those days (around 1972); still there were so many buyers all over the world. Even NASA in USA got hold of a copy of this book. 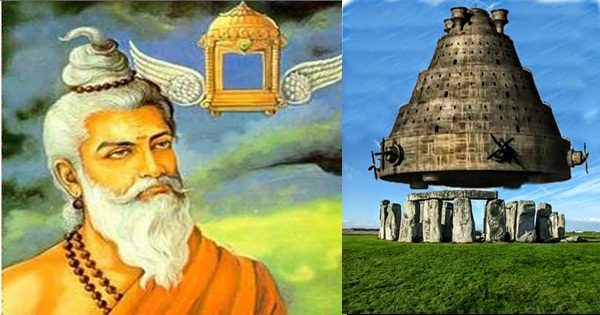 While the entire world is convinced that the Wright brothers were the pioneers of aviation, here is a book which portrayed India indeed had the knowledge of flying vehicles called Vimanas from ancient times. 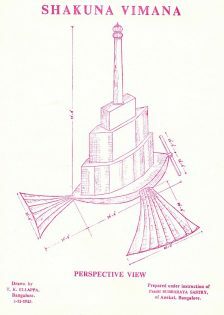 The book even produced certain mind boggling details of construction, working of engines, gyroscopic systems which were developed much later in aviation technology. 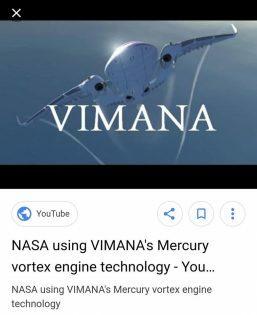 NASA actually undertook an experiment of construction of mercury vortex engines, very similar to what was written in Vaimanika Shastra. Around 8 chapters of the Vaimanika Shastra deal with the secrets of constructing aeroplanes that cannot be broken or cut, that is indestructible, that is fire resistant. It deals with the secret of making planes motionless and invisible. It deals with the secrets of destroying enemy planes, ascertaining the direction of approach of enemy planes, etc. 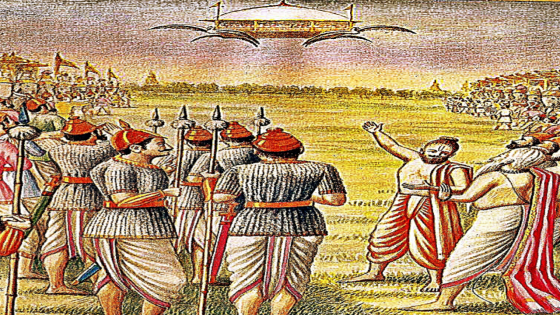 Pushpak Vimana was the well known aerial vehicle which Ravan used. 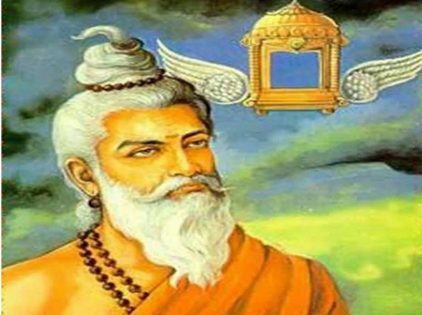 He had used it to take away Sita to Lanka and after slaying Ravan, Sri Ram returned to Ayodhya along with Sita, Lakshman and Vibhishan in the same Pushpak Vimana. This is elaborately mentioned in Ramayana and that was in Treta Yug. Is there any mention of such vehicles in other times, any other scriptures? Vashitva..Ability to make others surrender. Essentially they could assume any form at any given time. ‘Laghima’ gave them the power to be lighter than air and they were able to levitate and also travel individually freely in the air. Coming to Treta Yuga, Dharma had declined considerably. Few of them possessed very strong ‘mantra shakti‘ and they were able to develop and fly their Vimanas. They were called Mantrika Vimanas. 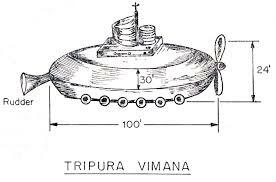 Pushpak Vimana was one of the 25 types. Other types were, Ajamukh, Brajasvat, Jyotirmukh, Ujvanga, Kolahal, Tripura, etc. While in Dvapar Yuga there were 56 types of Vimanas. Bhairava, Nandaka, Vatuka, Vishnuratha, Bruhathyunjya etc. During this Yuga, Tantrik shakti was very dominant, hence the Vimanas were referred as Tantrik Vimanas. In present Kaliyuga both Mantra and Tantra Shakti are on the decline and the ability to control the Vimanas have been lost. Artificial Vehicles were built which are called Kritaka Vimanas. There is an elaborate description of how various types of Vimanas were built like Rukma, Mandala, Shakuna, Padmaka, Pushkara, etc. The pilots were referred as “Rahasya gnyanadhikari” , meaning he one who has the secret knowledge of flying. The 32 secrets were contained in the training manual for pilots. There is mention of mercury, solar energy used as fuel. Electrical motors, gyroscopes are explained in detail. NASA started experiments on some of the aspects mentioned in this book. 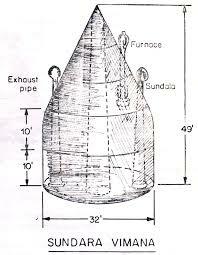 After sustained efforts sometime around 1978 they successfully used Mercury Vortex engines by ionising the mercury gases exactly as explained in Vaimanika Shastra. There was a big lobby ridiculing it as trash and as expected it was our own people, Indians and organizations based in our country who were in the forefront without even reading a page from the book. This is not just one book in isolation narrating about aviation knowledge in ancient India. 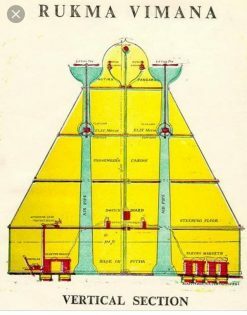 The Samara Sutradhara is a scientific treatise dealing with every possible angle of air travel in a Vimana. There are 230 stanzas dealing with the construction, take-off, cruising for thousand of miles, normal and forced landings.